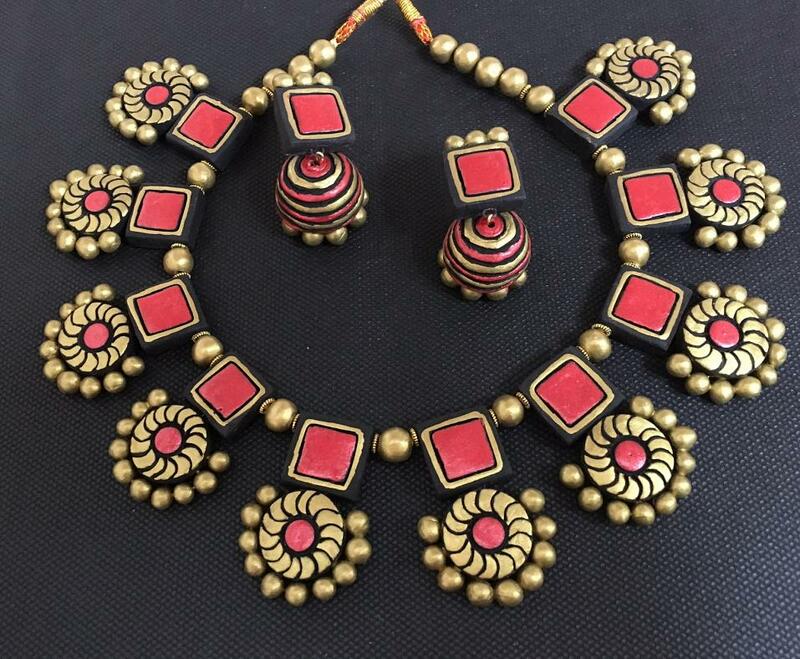 Grand Designer Choker Set w/ Jhumkas in Shades of Red,Gold & Black! Beautifully handcrafted Red, Gold & Black Grand Designer Choker Set with Large Jhumkas. The set comes with stunning handmade terracotta necklace & and matching jhumka earrings. This item in Traditional Necklace Sets category was first added to our catalog on 04-11-2017. 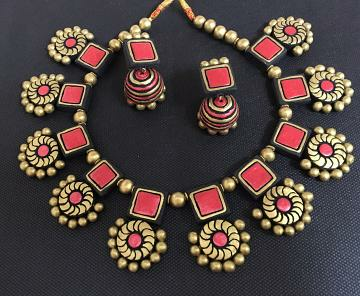 Buy Grand Designer Choker Set w/ Jhumkas in Shades of Red,Gold & Black!, sold & shipped by SowJy where you can shop online for Unique Handmade Terracotta, Fashion & Designer Ethnic Jewelry. This Necklace Sets collection has been tagged as Hand made jewelry, indian fashion handicraft, costume jewelry.